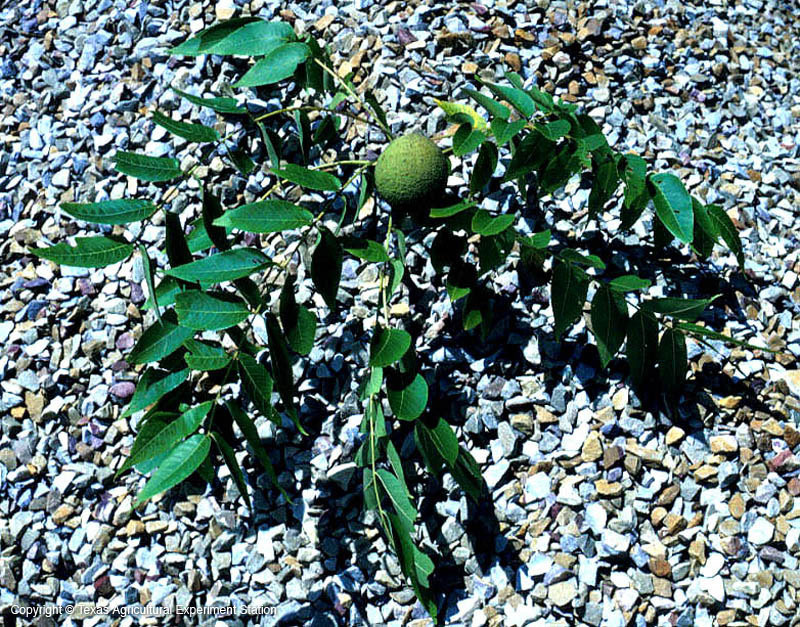 Black walnut grows on deep, rich, moist limestone soils. It is found in east, north central and central Texas in bottomland floodplains, field edges and along streams. During droughts in the Blackland Prairie, which normally averages 35 inches of rain a year, it can suffer massive limb die-off, so it has a fairly high moisture requirement. 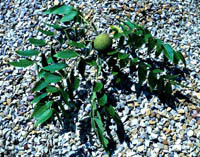 Walnut roots and leaves secrete a chemical known as "juglone," which can inhibit growth of some plant species around it. Walnut wood is much desired for furniture and veneer. Width: 40 to 50 ft.